We love our cats and want to take the very best care of them. And we know what we feed them is important. So what about grain-free cat foods? The ads on television would make you believe that if you’re feeding your cat a diet that contains grains, you’re a bad pet-parent! Nutrition is a hot topic these days and many cat owners invest a lot of time researching diets to feed their cats. This is great, as we should care about our cats’ nutrition. However, many cat owners believe grain-free cat foods are better because they are more “natural” and less likely to cause health problems. Actually, there is no credible evidence showing that grain-free diets are better for cats (or dogs), nor do any nutritional foundations support this claim. In fact, some cats can develop health concerns when eating certain grain-free diets (especially the dry formulations). There is so much–too much!–information out there on pet foods; what to feed and what not to feed. How does one sort all this out when choosing a cat food?! A filler is an ingredient with no nutritional value. Whole grains do contribute vital nutrients such as vitamins, minerals, essential fatty acids, and even serve as a source of protein. Most cats can utilize and digest nutrients from grains. Grain free foods typically contain carbs in the forms of potatoes, beans, peas, or lentils. Some of these carbohydrates can lead to gastrointestinal upset. Also when the carbohydrate contents are lower, the fat and calorie amounts are higher and this can lead to overweight cats if not fed properly. True food allergies are uncommon in cats, and grain allergies are even more uncommon. Cats are more likely to be allergic to the protein (chicken, beef, fish) in their diet vs. the grain. It is not uncommon for cats to have problems with their bowel digesting certain foods, but this is not a true allergy. And gluten intolerance has not been recognized in cats! 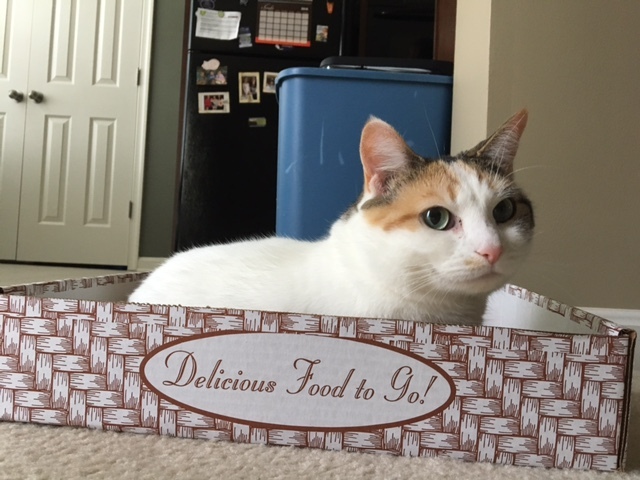 The fact that so many owners care about what their cats are eating is great! But, please make sure you speak with your veterinarian about what diet is appropriate for your cat. Please be careful about advice from the internet or from employees at pet stores. There is no “one size fits all” diet. Every cat is different, and what works for one may not work for others. Lastly, the biggest recommendation from our doctors is to feed a largely canned food diet and strictly limit dry food. At A Cat Clinic, as cat veterinarians, we discuss nutrition at every exam because we feel this is so vital to your cat’s health and well-being. If you’re looking for a cat veterinarian in Germantown, Rockville, Gaithersburg, Clarksville or surrounding areas, contact us to set up an exam for your cat and we’ll be happy to discuss diet options. The years of education and experience our doctors have been through help us guide you in the best direction for your individual cat. Like all of you, we want your cats to be happy and healthy!